The former has helped to articulate a trend of austerity nostalgia and pastiche faux edginess, all bound by a medium that aestheticizes a bygone era and conveniently filters out context. It is, however, a deeply personal medium. The latter, meanwhile, depicts architecture within the cityscape and typically from above; lashings of context, yet devoid of any personal meaning seeing as very few of us can afford to travel by helicopter, and even fewer are birds. New Architecture London, refreshingly and succinctly, makes no allusions as to what it’s about through its title—not London looking nervously over its shoulder through rose-tinted spectacles, nor blind developer-driven optimism, this is the city as if were you to wander it right now. Across 163 pages, photographers, Agnese Sanvito and Richard Schulman present a perpetually changing London in the “now;” a city, evidently rich in history, but not bound by it. For Schulman portraits of architects—and not just their buildings—is a hallmark of his work. While no portraits are featured in this book, it operates at a personal level with Schulman and Sanvito’s lenses curating a pedestrian perspective of the city’s contemporary buildings. In his foreword to the book, critic Edwin Heathcote describes Norman Foster‘s 30 St. Mary Axe (known by its colloquial moniker: The Gherkin) as a “bullet emerging from a city that has been bombed three times in a century.” “Now it can barely be seen,” he continues, noting the structure as a stylistic and typological catalyst for its more contemporary, Boris-approved counterparts. It’s not all heroic, however. 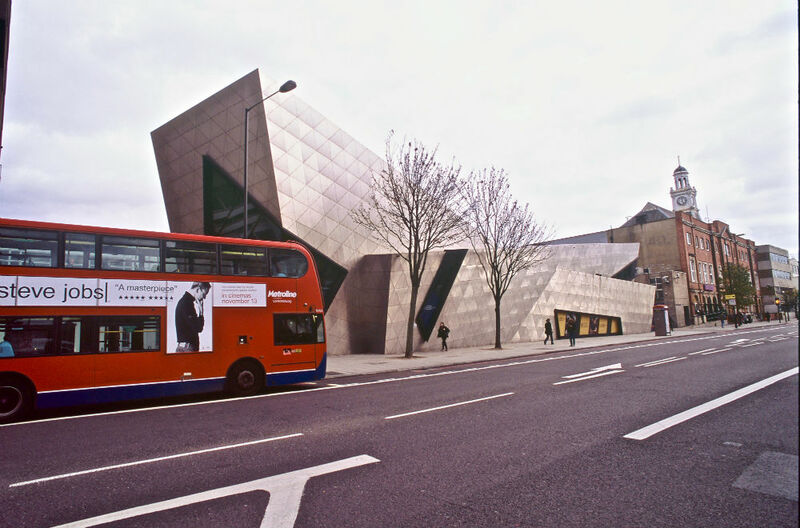 A generation ago, as Heathcote acknowledges, London was populated by few structures by architects of international repute, but now it is a playground for Pritzker Prize winners to plonk their iconic structures. 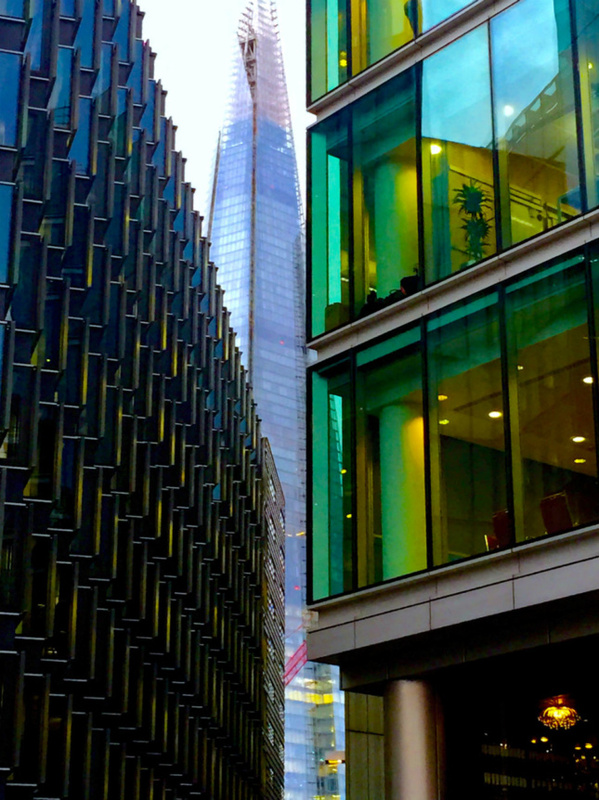 When Renzo Piano’s Shard is framed with the abstract geometry of more glass you wonder: if the U.K.’s tallest building wasn’t in the picture, would we know what city we were in? On the next page, a counter: the Shard rising above a Georgian wall, amid an equally mundane, yet historically inflected setting. 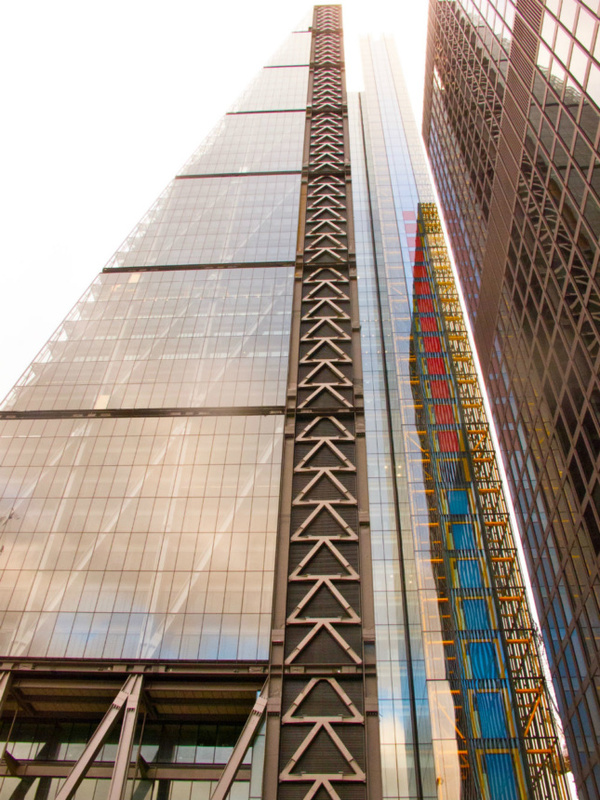 In both, the Shard is the only visual indicator of place, but how long will this continue to be the case? Heathcote remarks, though, “it’s not just [London’s] skyline that has seen radical changes; its streets and its public spaces are being transformed” too. 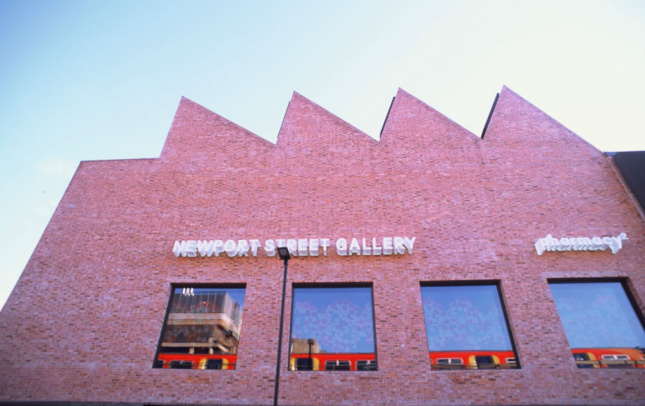 The technique encourages you to seek the narrative of a place and imagine the moment which is presented, as Schulman’s photograph of Caruso St. John’s RIBA Stirling Prize winning Newport Street Gallery demonstrates. Even if you don’t know what a delayed Southwest train service destined for Waterloo sounds like, the act of placing yourself in that scene isn’t hard as the skyward facing photograph frames the saw-toothed roof and train reflection in the gallery’s windows. Sadly, however, this image is afforded little page space by Prestel. The same could be said for a few other images too. The term “shot” perhaps is a disservice to the photograph. Implying it was taken sporadically in the moment (a trait intentionally and successfully articulated) hides the fact that Schulman, in fact, spent considerable time to capture the moment and essence of place—even if a particular place is lacking in just that. He typically visits sites 20-30 times before shooting. “To take great pictures, you have to be prepared to lie on your back in the middle of the street,” he told me. Or sometimes, you have to be in a gondola—the Emirates Airline to be precise—from which Wilkinson Eyre’s Emirates Royal Docks and the Crystal can be spied. A synopsis states the cable-car system “connects directly to the London Underground while granting passengers a much more absorbing visual experience.” Don’t be fooled. When the summer tourists disappear, the supposed infrastructure is a ghost town gimmick—and a costly one too. The Emirates airline is the only transport-orientated project featured, which says a lot for London’s building priorities. It could be said today’s starchitects were beaten to the opportunity largely by the Victorians, but Norman Foster’s British Museum proved great work can be done when working with buildings from this era. New Architecture London is also ordered as haphazardly as London itself. A chronological or geographical route through would have been handy. Three brick blockbusters, O’Donnell + Tuomey’s LSE Saw Swee Hock Student Center and Herzog de Meuron’s Switch House, in addition to Newport Street Gallery, can be found at the end of the book and remind us that London was once a brick-built city; a gracious nod to, not fetishized fawning, of the past. Looking forward, meanwhile, is New London Architecture, presenting an honest and refreshing take on a city still working out where it wants to go.